What is Grandfather's Rock 'n' Roll Music Inn? SO GLAD YOU ASKED. The short answer: a bar in Shibuya, Tokyo. In Japan, there is such a thing as bars dedicated to the act of listening to music - not dancing, not raging with friends over a loud DJ - literally just listening to curated music through high quality speakers. Grandfather's is a listening bar whose unofficial focus is on 1970s AOR, 1980s classics and the likes,. 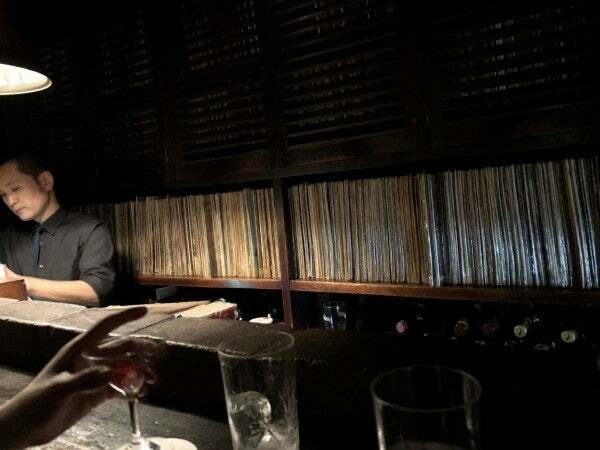 All night, the bartenders who double as DJs pick out songs to play from their massive vinyl collection one by one. They hang the album cover of whatever song is playing on the wall. People keep their voices down at respectable levels - unless of course you have the urge to sing along, which all of us did when Lionel Richie’s “Say You, Say Me” came on (still unsure why this is the one that got everyone going but I’ll take it). Each song on this week’s show was either played at Grandfather’s last Monday night in Tokyo, or would have been if they let me behind the decks. So grab a whiskey highball, kick back and enjoy.